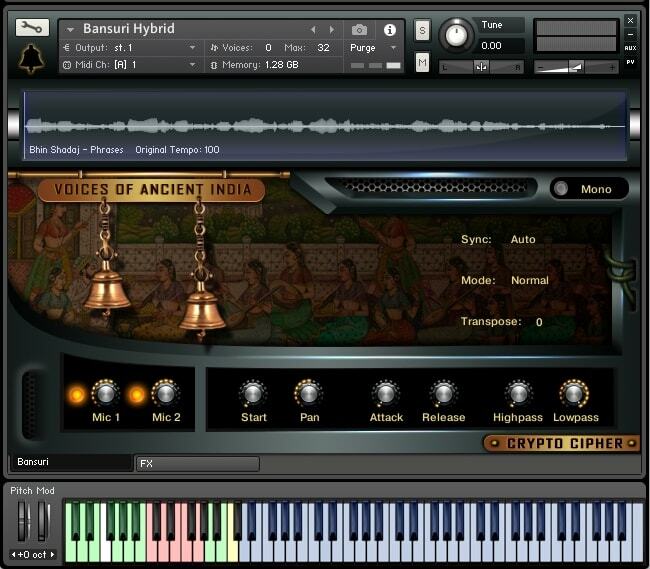 Crypto Cipher is proud to present biggest & emotional Indian Kontakt phrase library of 5 unusual instruments played by the renowned artist of India. Further create unlimited melodic variations via user interface transpose, time sync, speed & sample start controls. Dholak has two sides – the bigger side produces bass sounds and smaller side produces treble pitches.It looks like Punjabi dhol but smaller in size and played with fingers/hands instead of sticks.The instrument shell is made of high quality sheesham wood. Dholak is quite popular percussion instrument of India. Its has been used in Indian Film Industry and Folk music of India since inception. Its widely used in qawwali , bhajans , kirtan , lavani and bhangra. These days dholak is used in many fusion genres of music.